Microsoft’s Speech Recognition Utility (MSR) can be located under the Ease of Access menu in Accessories. Click Start, then click Accessories, locate Ease of Access and scroll down to Speech Recognition. I have attached a screenshot to help you locate it. Before going through the steps to configure Speech Recognition, you need to hook up a microphone, and if needed, speakers. A headset microphone/headphones combination is recommended. An example of one of these is pictured herein. Any microphone that you’re comfortable with will work however. 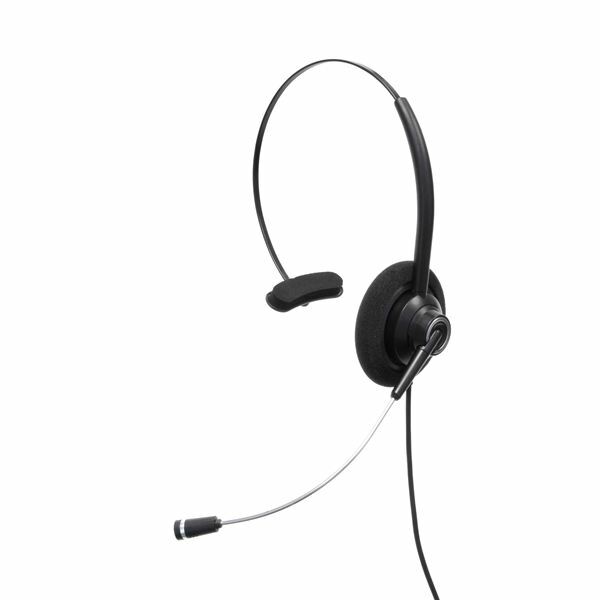 Headset microphones tend to be more discriminating when it comes to interference from noises that are common in an office setting, such as phone conversations, phones ringing, and other inhabitants of the office space having conversations. Adjust the mixer volume settings so that the sound is at a comfortable level for you and to ensure that the computer can hear your voice through the microphone. One of the steps for this is to recite a given phrase in a normal voice. Depending on the sound driver for your computer, this can be quite simple or it can take a few tries to get just right without having an abundance of feedback or noise in the microphone input. Once you have speakers and a microphone configured and ready, it’s time to configure Speech Recognition. One of the first steps here is to have you recite another given phrase. You’ll be asked whether you want to allow MSR to review some of your email and other documents to give it an idea of the phrases you work with. It will also ask if you want MSR to start automatically when Windows starts. You’ll be asked to decide on manual or automatic startup. With manual, you’ll have to say “Start Listening” clearly, into the microphone, at which time MSR will start and you will be able to use it to control your computer. You’ll be presented with a list of commands that can be used with MSR and advised to print them out (However, just say: “What can I say?” and this list will pop up). The next step is a tutorial that takes between thirty and forty-five minutes to complete. It isn’t necessary to go through the whole tutorial, though. However, the more of the tutorial that you complete, the more the program will be able to recognize your speech patterns. The program will also be training you to properly enunciate while you use the tutorial, as mumbling and garbled speech will not deliver the desired results. Once you’ve finished the tutorial, you’re ready to begin using the program. The software continues learning as you use it. For instance, if the software is unable to properly understand you, it will either display an error message in the status window, or display a dialog box with a number of options that the program thinks you may have meant. Display configuration is limited to deciding where on your desktop you want the command interface to appear. Tazti is a speech recognition software program that specializes in social media and Internet-based usage. Installation is quick and straight-forward. Configuring the computer for the software is the same as for MSR. The tutorial and training interface for tazti is much quicker than that for MSR, although there is the ability to do more than the minimum of the tutorial and training. Again, the object with tazti, in order for the software to understand you properly, is to speak clearly and concisely. A quality microphone and relatively quiet environment is also imperative, as with other speech recognition utilities. The command window for tazti is able to be left open much more easily than with MSR, and contains more than just the list of available commands. You are able to hide the main tazti window and print the list of commands, as with most other speech recognition software.